I started this post almost two months ago and things just got really busy since I celebrated my birthday. I've been zipping back and forth across Asia and other family trips so I haven't had time to sit down and blog. After my birthday I managed to go home for an important occasion - the launch of Fr. James Reuter, SJ's book "Mama Mary and Her Children, Book 5". My good friend Rowie who is one of the editors of the book pinged me last year and asked for me to contribute a story for the book. Inspired I immediately wrote a story and sent it to her. They were hoping to launch it last year, but due to some unavoidable circumstances they were only able to launch it on Mama Mary's birthday this year. 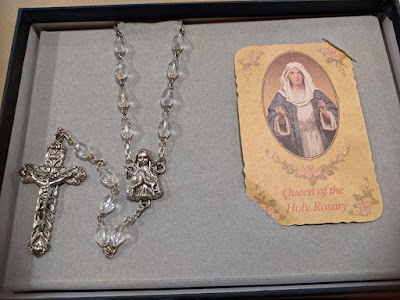 It was my Mom who first cultivated my relationship with Mama Mary. 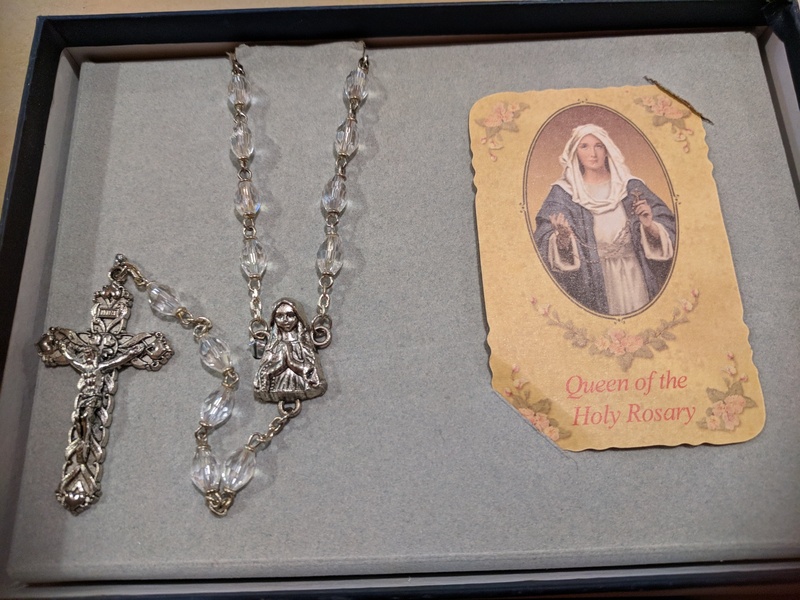 She was the one who taught me the set of prayers that I use until today. 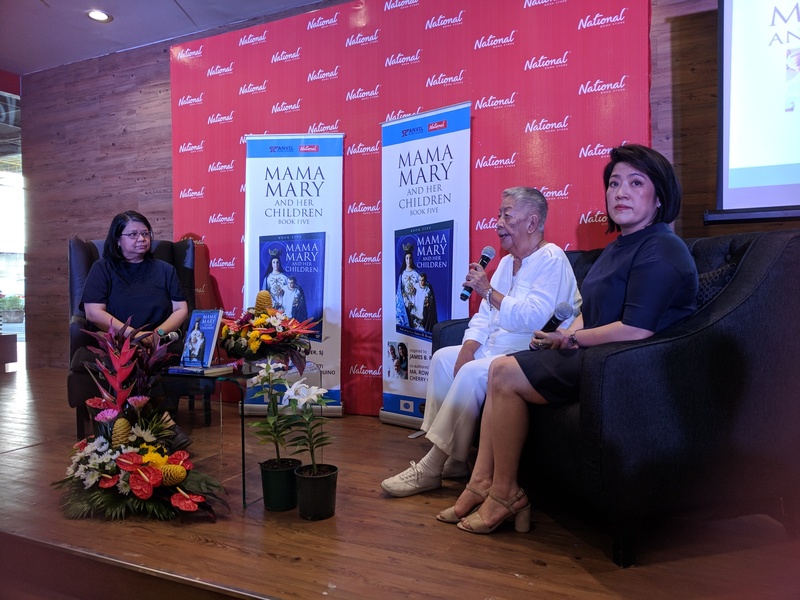 During the launch I shared to the audience the best thing I learned from Mama Mary - obedience. I shared that I always had trouble in my life until the day that I gave up and just told God to lead me to where He wants me to be. I remember very clearly when that happened - late September in 2007 on a plane ride back from the US to Manila. I just gave up and told God to take over my life. 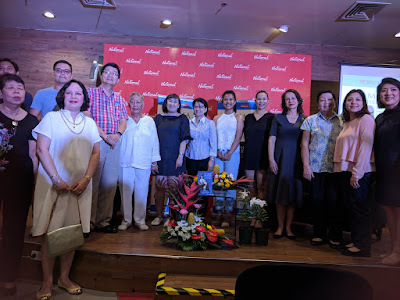 With the other story contributors, Tita Cherry and Rowie. And He did. Right after that things just started to fall into place. Whenever I had doubts I always just raise the issues with Him and always get clear answers on where I should go and what I should do. He's the best life compass. 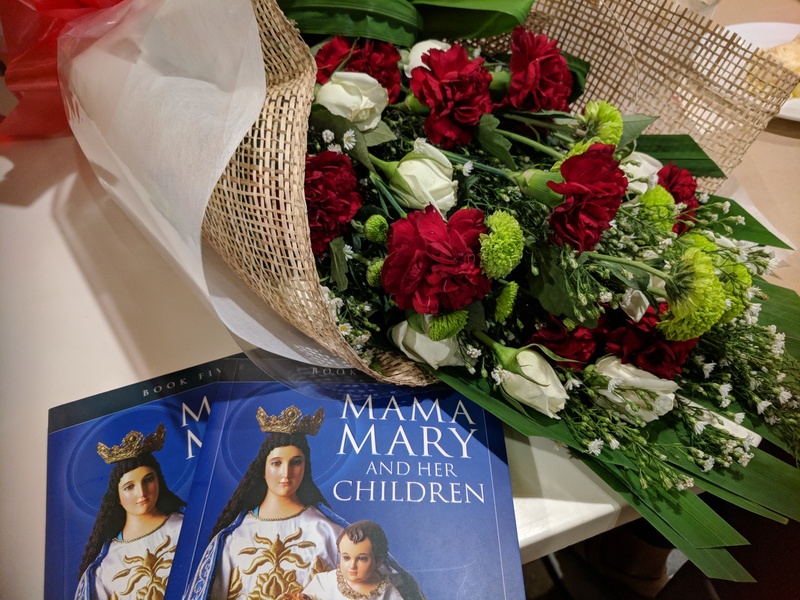 The Mama Mary book is now available in National Bookstore. 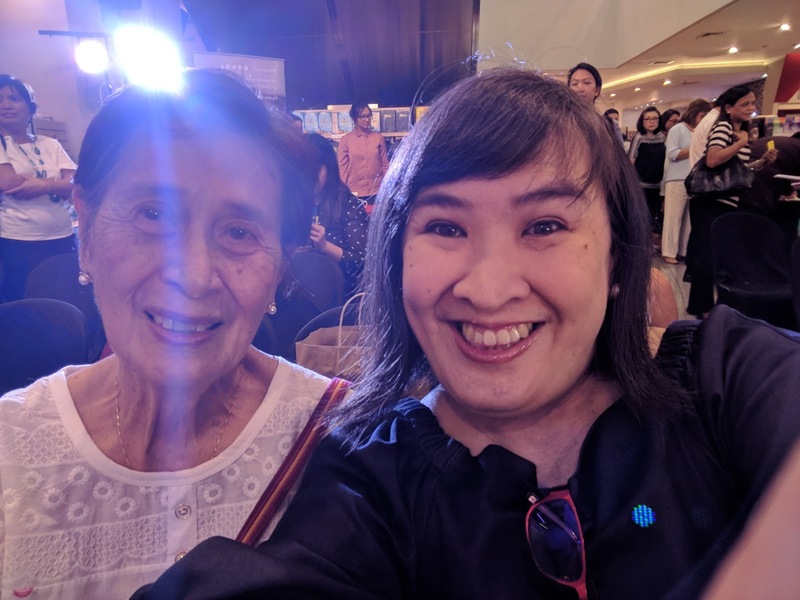 Rowie and Tita Cherry are also accepting stories for book 6. I'm happy to forward it to them if you are interested to submit.